Crown Oil is a nationwide red diesel supplier although, our reliable deliveries and competitive gas oil prices have made us one of the leading red diesel suppliers in Bradford. This low duty form of diesel fuel can be used in tower cranes, diggers, tractors, generators and for heating. 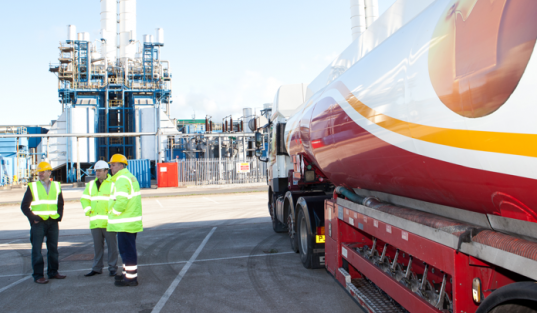 In emergencies, we can deliver red diesel to Bradford within hours. We can also supply red diesel in 205-litre barrels or bulk quantities if necessary. With our huge buying power, we purchase red diesel at low prices and pass these saving on to you. Call us now on 0845 313 0845 to buy red diesel and arrange your preferred delivery date. Red diesel is red-dyed, rebated fuel that is used either for heating or to run off-road vehicles and machinery. Even though red diesel is not allowed to be used in a vehicle that is intended to run on a public road, it will work in a vehicle which is only used off-road privately. For those that do wish to utilise its great quality, it’s important to find red diesel suppliers in Bradford that can be trusted for a rich, quality fuel at a fair price. With all the current red diesel options, finding a quality company with the right price seems like the only way to pick a company. However, finding a company that delivers to any place at any time is usually an important factor because gas oil is usually required to keep important machinery running. Crown Oil is one of those gas oil suppliers that offers not only a quality fuel but, top prices and the convenience of a punctual delivery where you want it, when you need it. Another great option in fuel suppliers is Crown Fuels. They offer great customer service, multiple options and some of the best prices around. Either on the phone, online, or in person there is always a friendly, knowledgeable fuel specialist ready to help. They offer strategically located supply points as well as offering a fair price. For convenience, it does not get any easier than a specialist fuel and oil supplier like Crown Oil. Everyone needs to have their heating available or machinery operating, and in order to do that they need to be supplied with enough red diesel to handle it all. Finding the right company, with the best price may seem like a chore but here at Crown Oil, we are sure to offer the perfect solution to every person’s red diesel needs.